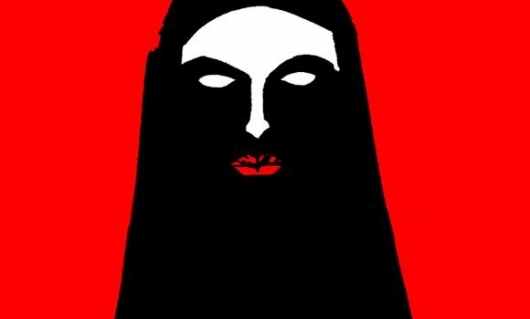 One of the movies that premiered at the Sundance Film Festival that’s garnered a lot of praise is a black and white Iranian vampire tale titled A Girl Walks Home Alone at Night. Dubbed the “first Iranian Vampire Western ever made,” the film is written and directed by Ana Lily Amirpour in her debut effort, and executive produced by Elijah Wood. It will be released in limited theaters on November 21st. You can read more about the movie and watch the excellent first trailer below. The first Iranian Vampire Western ever made, Ana Lily Amirpour’s debut basks in the sheer pleasure of pulp. A joyful mash-up of genre, archetype, and iconography, its prolific influences span spaghetti westerns, graphic novels, horror films, and the Iranian New Wave. Amped by a mix of Iranian rock, techno, and Morricone-inspired riffs, the film’s airy, anamorphic, black-and-white aesthetic combines the simmering tension of Sergio Leone with the weird surrealism of David Lynch.